Listen to Gene Terry on "Cindy Lou" and "That Woman I Love"
John Broven's book "South To Louisiana" doesn't say much about gulf coast rocker Gene Terry, just what's necessary. In describing Terry's brakeless 1958 rendition of "Cindy Lou"—originally recorded six years earlier by the Boogie Ramblers (who would soon become Cookie and the Cupcakes)—Broven calls it "a wild, unforgettable sax-guitar-piano rocker that was a generation removed from the restrained bluesy original." Indeed. Shane Bernard, who used a promotional shot of Terry to grace the cover of his book "Swamp Pop: Cajun And Creole Rhythm and Blues," agrees wholeheartedly, writing that "judging from the ferocity with which the musicians perform over one another, (it) resembles an unrestrained jam rather than a recording session." Unrestrained would be putting it lightly; anarchistic might be a more apt description. 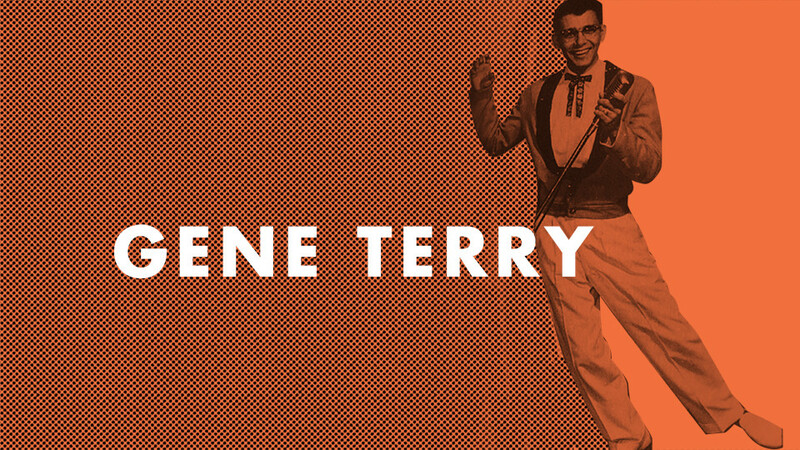 Terry was born in Lafayette but grew up in Port Arthur, Texas, placing him in direct proximity to The Big Bopper's rhythm and blues radio program that beamed in from nearby Beaumont. When Terry began digging the new sounds that the Bopper was spinning, he immediately introduced them into his band's set. The rest, as they say, is history. His first record—the aforementioned "Cindy Lou" on Goldband—would be his biggest and would be followed by three more, including "Fine—Fine," which Goldband prexy Eddie Shuler leased to Savoy. Terry gave up the musical lifestyle in 1960, but still performs for special occasions which makes his appearance at October 11's Swamp Pop Throw Down all that much more anticipated.